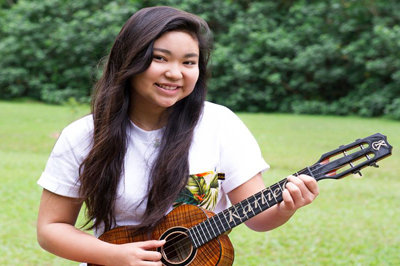 Karlie at the age of 15 has won numerous ukulele/vocal competitions such as the prestigious Ukulele International Contest, Duke’s Ukes, and the 2015 Brown Bags to Stardom. Karlie is also recognized as a songwriter winning the Hawaii Book & Music Festival’s Songwriting Competition and a semifinalist for the 2017 International Songwriting Competition. Karlie performs a wide range of genres such as traditional/contemporary Hawaiian, Pop, R&B, and Japanese. Karlie’s unique soulful voice surprises many the first time they hear her. 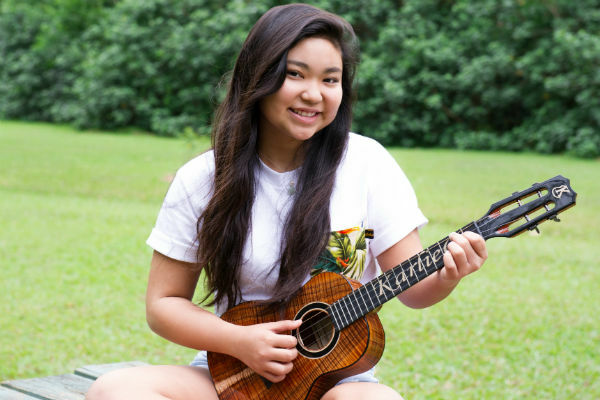 Karlie at the age of 14 has won numerous ukulele/vocal competitions such as the prestigious Ukulele International Contest, Duke’s Ukes, and the 2015 Brown Bags to Stardom. Karlie performs a wide range of genres such as traditional/contemporary Hawaiian, Pop, R&B, and Japanese. Karlie’s unique soulful voice surprises many the first time they hear her. 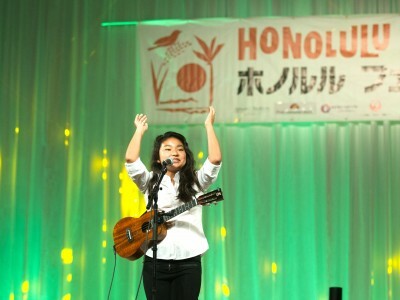 Karlie Goya at the age of 13 has won numerous ukulele/vocal competitions such as the prestigious Ukulele International Contest, Duke’s Ukes, and the 2015 Brown Bags to Stardom. Karlie performs a wide range of genres such as traditional/contemporary Hawaiian, Pop, R&B, and Japanese. Karlie’s unique soulful voice surprises many the first time they hear her.